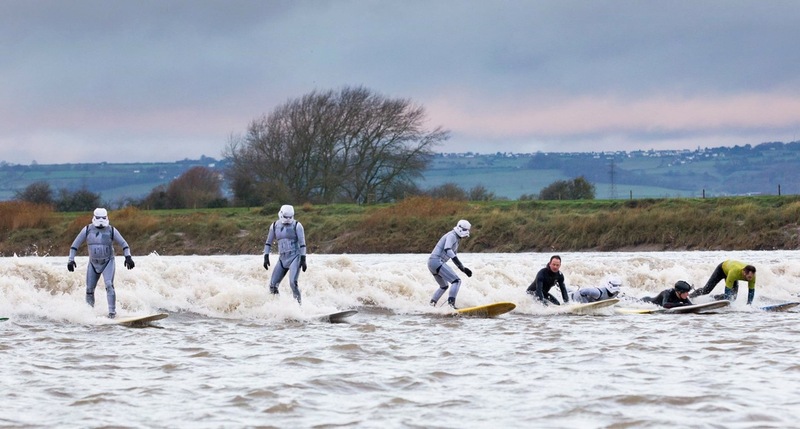 In case you’ve not heard of the Severn Bore, it’s a tidal surge that travels up the river depending on the size of the tides. 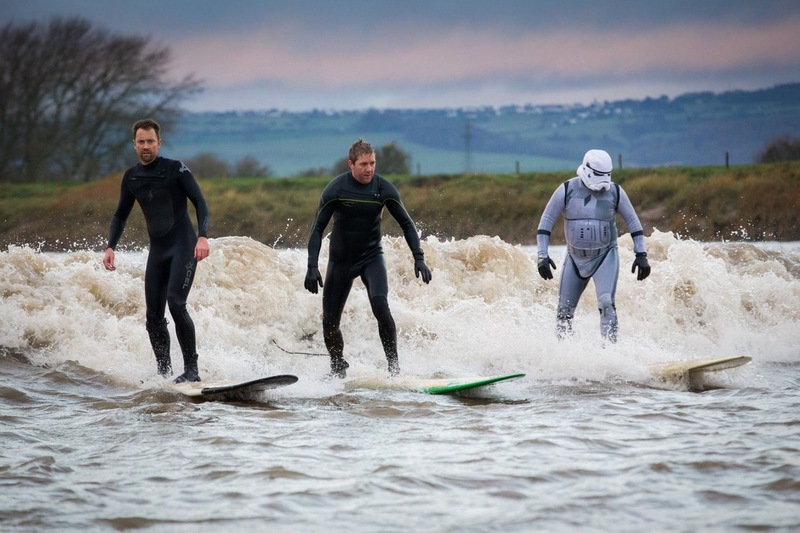 The Severn has the third highest tidal range in the world, which means when the bore is big enough, you can surf it – for actual miles. 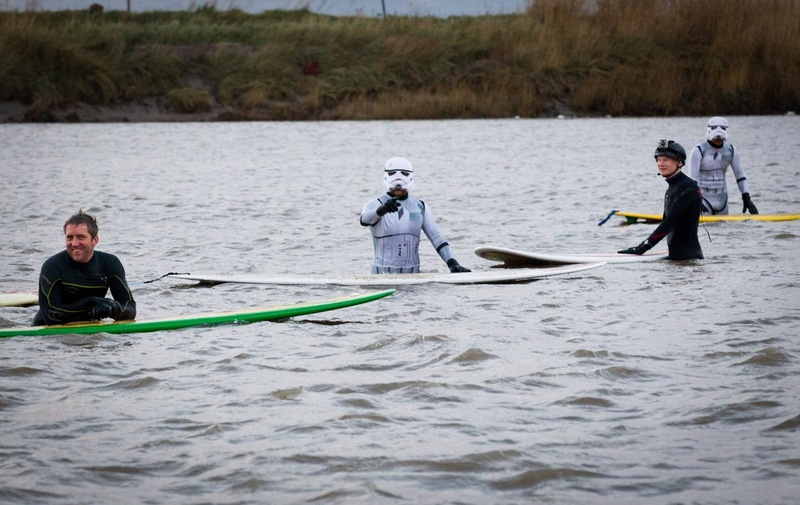 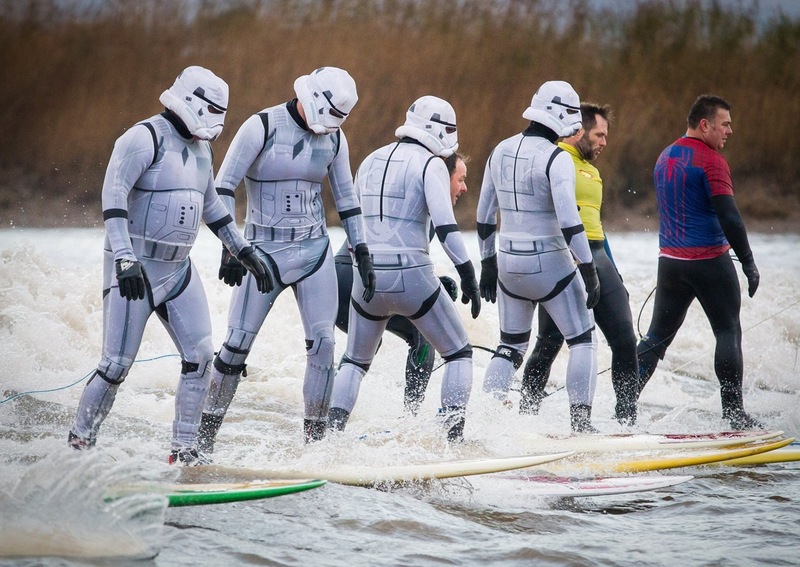 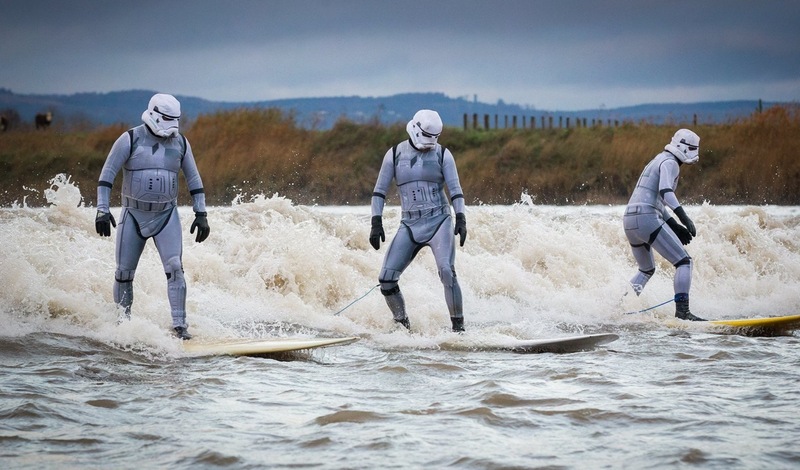 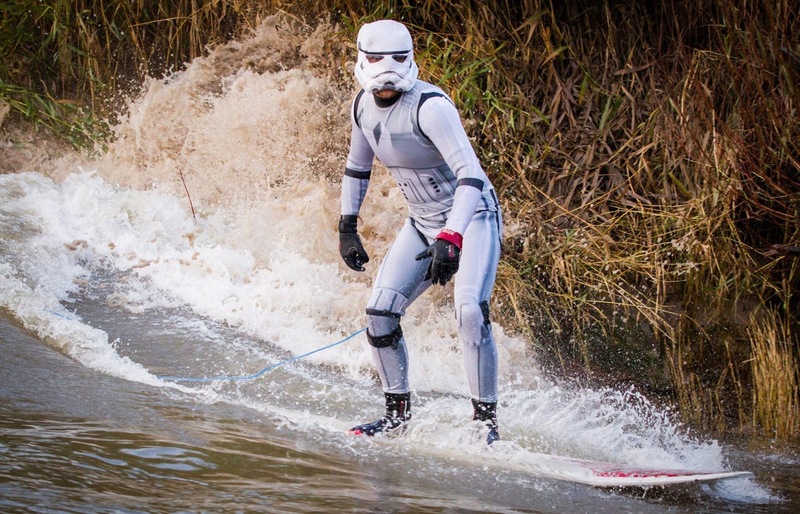 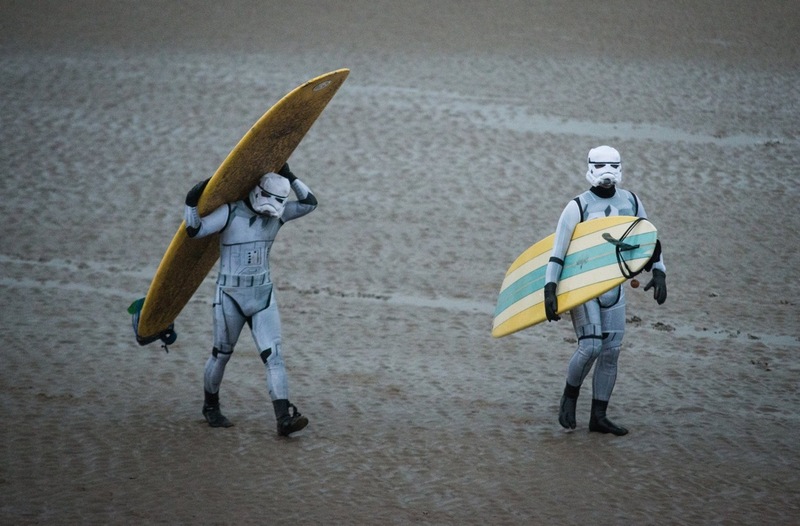 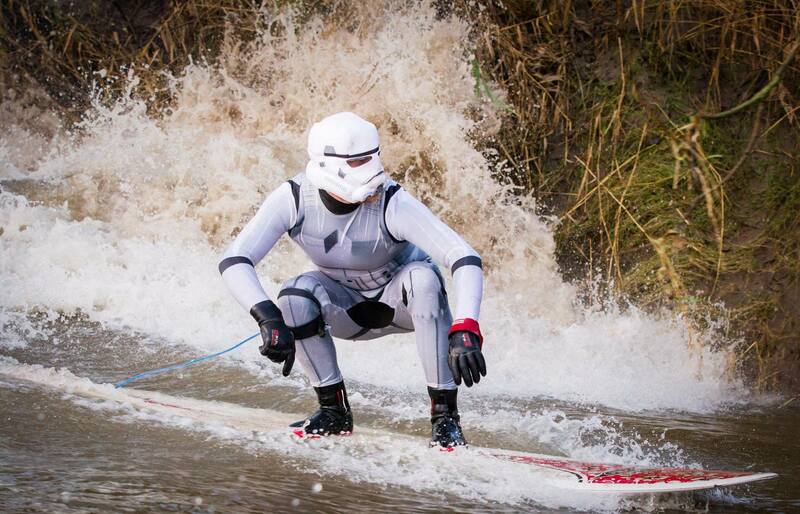 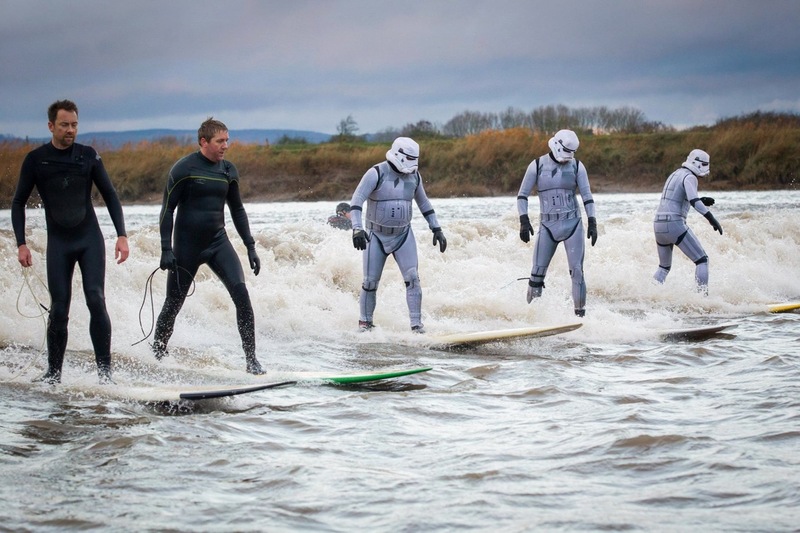 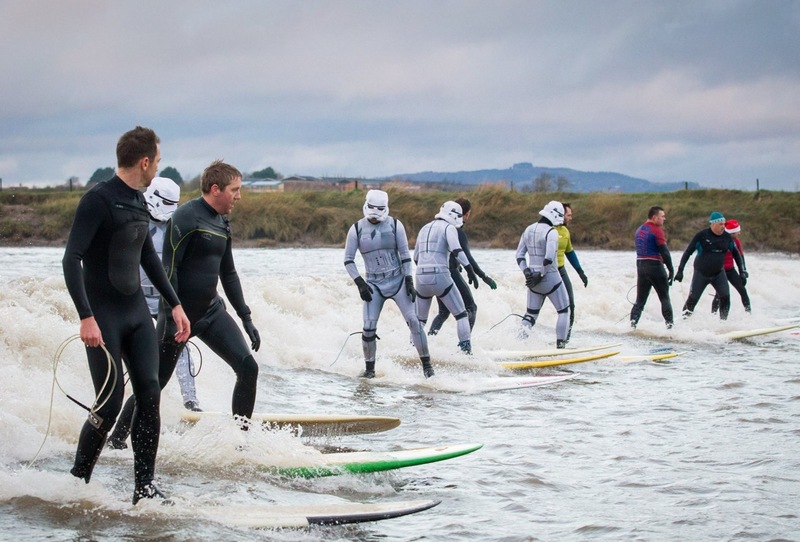 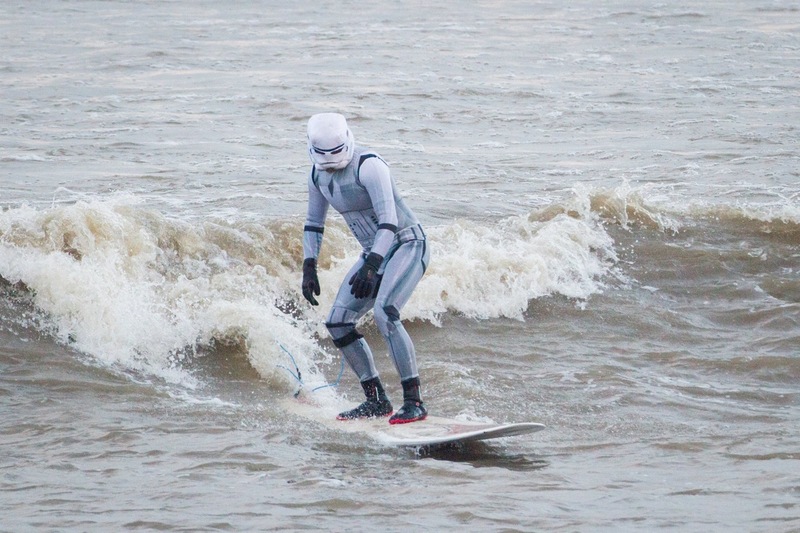 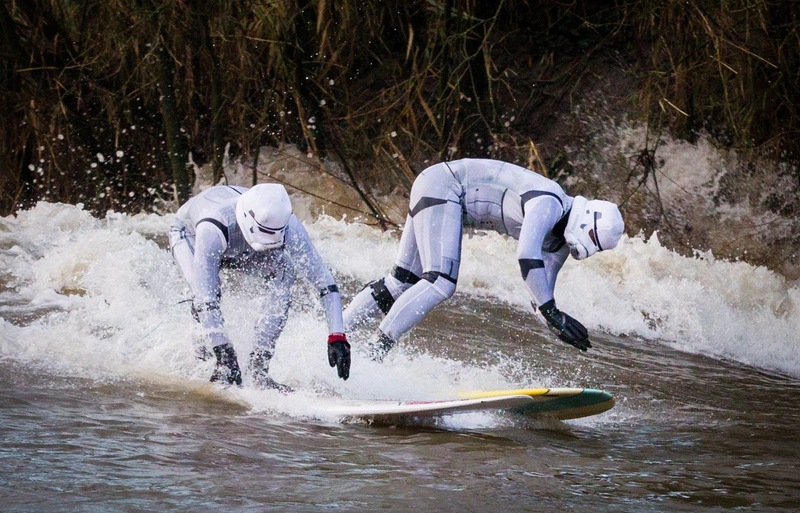 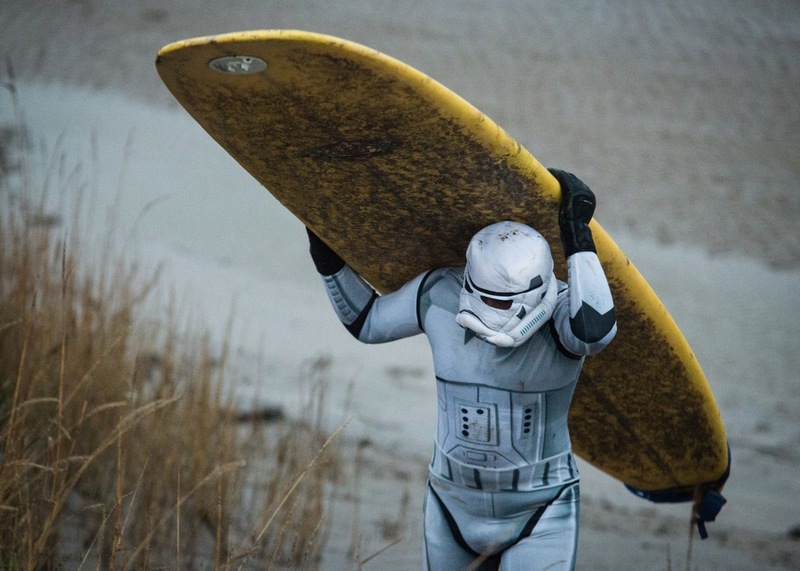 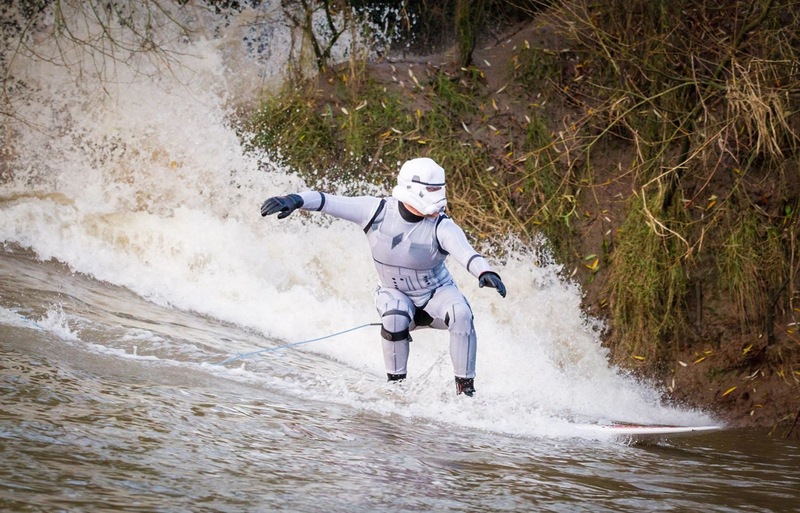 And on 27 November 2015, the Galactic Empire sent its foot soldiers in to take on the might of the Severn Bore. 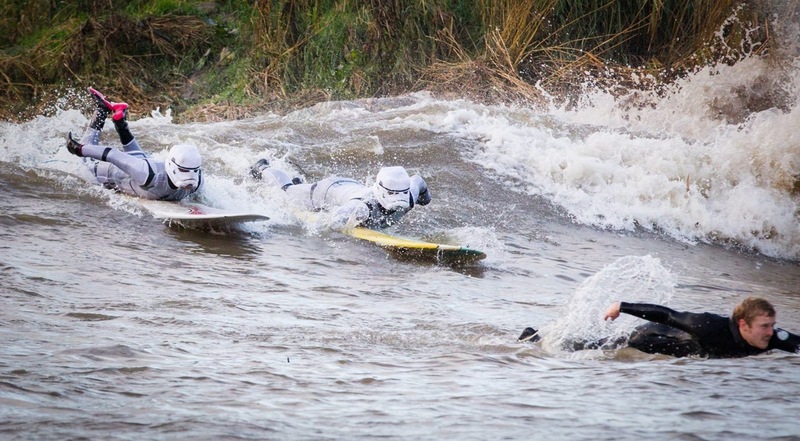 To surf the hell out of it. 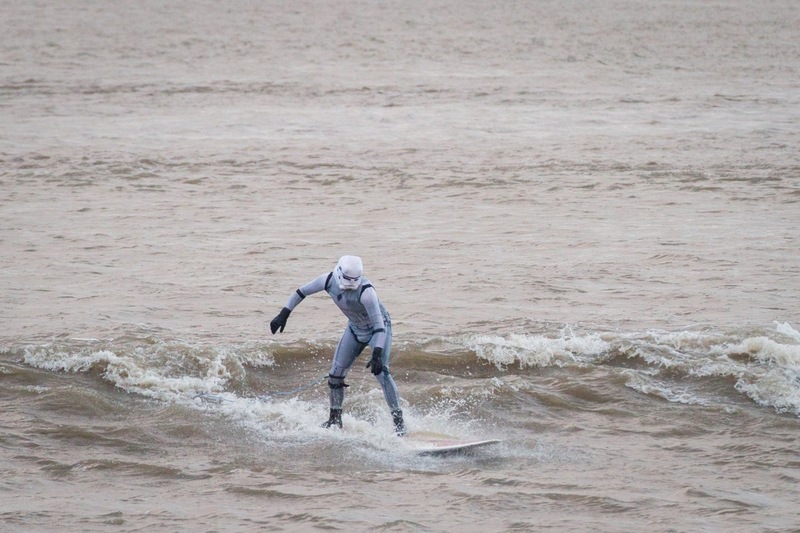 There are only two bigger bores than the Severn in the world: Fundy Bay in America and Ungava Bay in the Hudson straits. 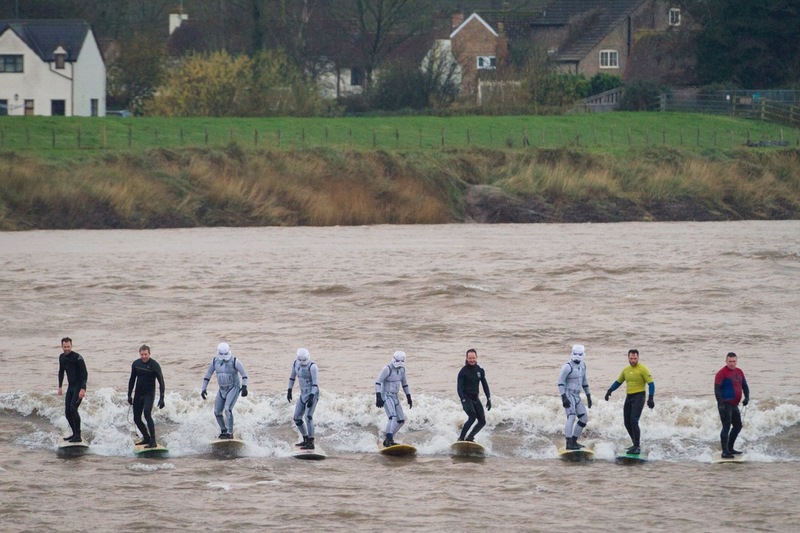 The River Severn’s shape and large tidal range means it Severn Bore is one of the world’s longest rideable waves. 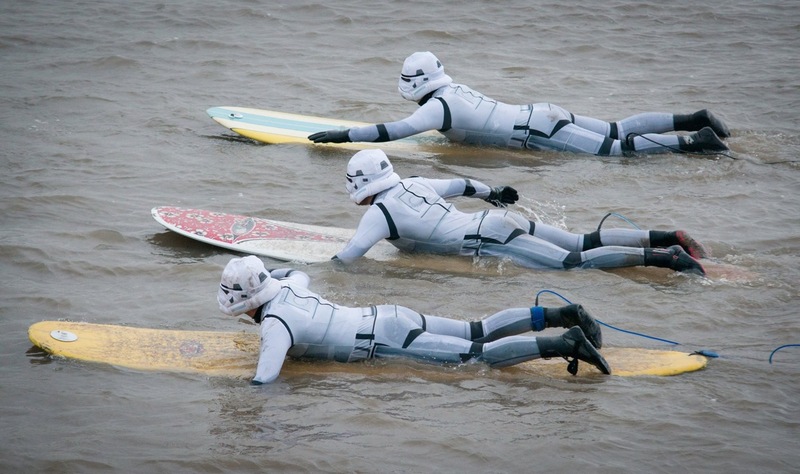 There are 60 rivers in the world with bores. 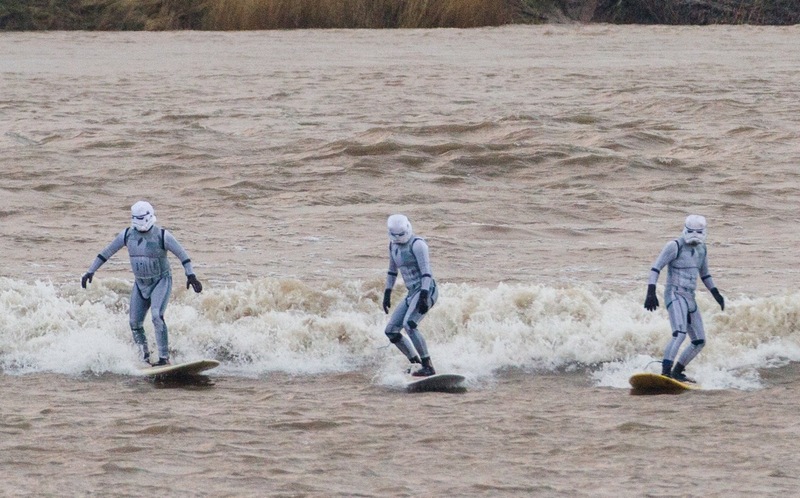 Eight of those are in the UK. 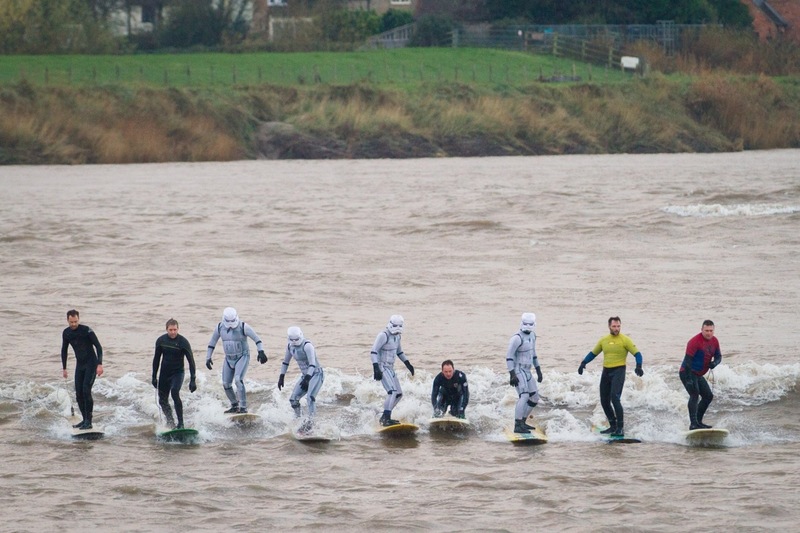 The tidal range on the Severn goes up to 15 metres. 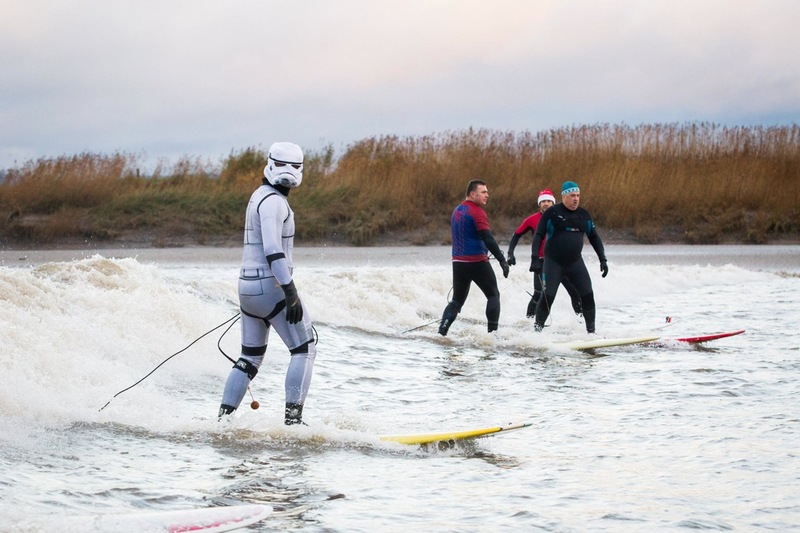 This, combined with the funnel shape of the estuary, is what causes such a large bore. 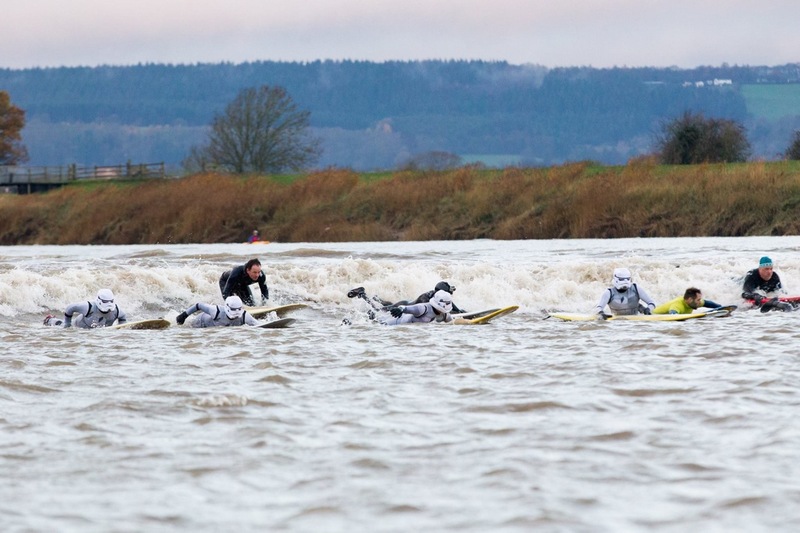 Although it’s not confirmed, the largest bore on the River Severn is said to have been on 15 October 1966, at a height of 2.8 metres. 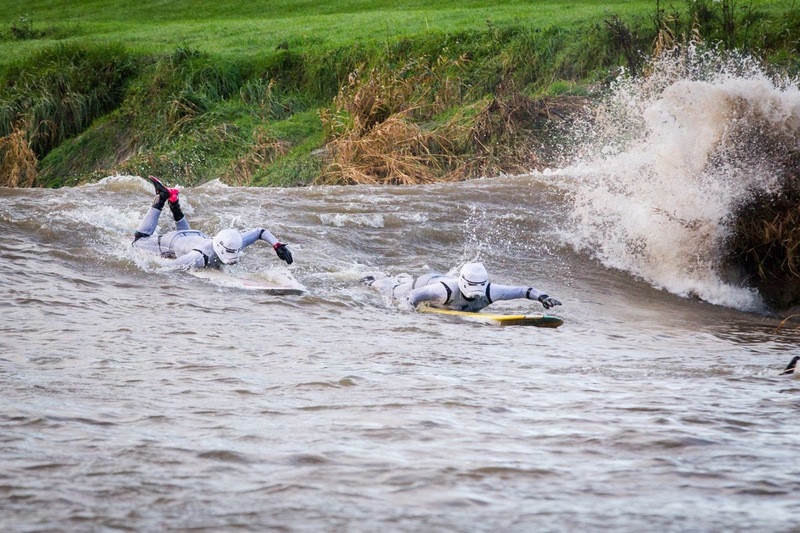 Often the spring and autumn tides are the biggest but generally most month’s high tides will bring a bore down the Severn through Gloucestershire.